Hi everyone. Wish you all a very happy weekend! 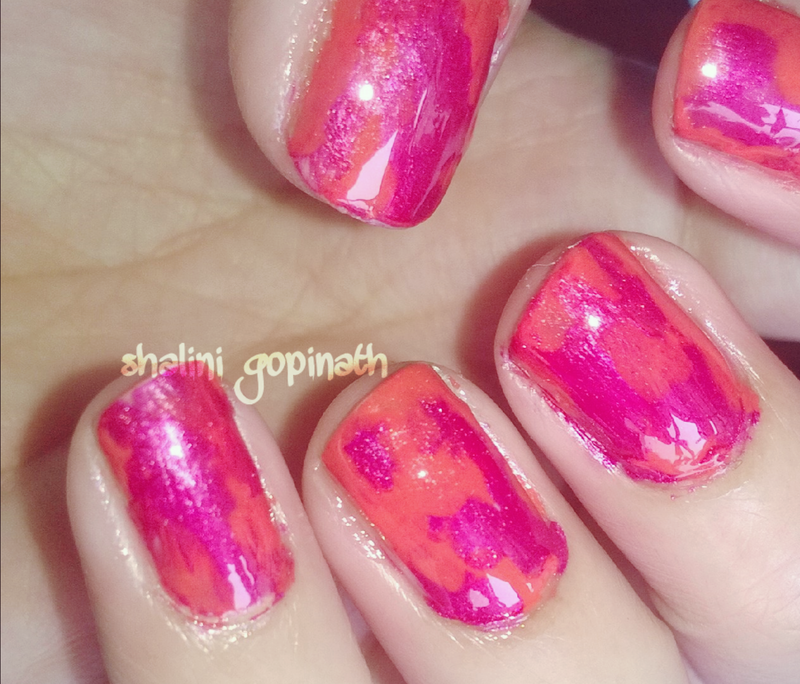 I have created a messy magenta with orange nails. This is one of the easiest technique and you absolutely require no tool!. You can use this easy mosaic technique and create any color combination nails. Since it's summer here I created it using some vibrant colors. I have created this look using colorbar nail polish. You can use any brand you like. Make sure the nail color texture is not thick. How to recreate this look? 1) Apply a top coat and let it dry for few mins for a smoother base to work on. 2) Apply some orange nail color directly from the bottle and this color should be placed here and there not evenly on your nail creating a gap or say space in between. I know this looks and sounds clumsy and messy well this look is all about messy nail look and so now take your other color magenta and start filling the gaps. 3) Once the above step is done. Let it dry for at least 15 to 20 mins. Have patience. Hook yourself to some music. After 20 mins apply your top coat. Now you can see your pretty messy nails getting to its shape! 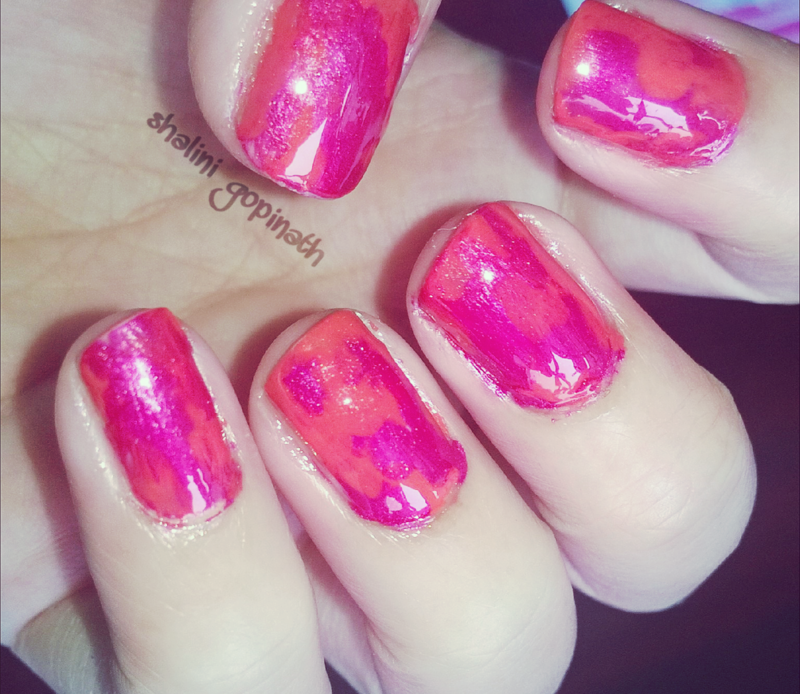 4) Reapply your Top coat and this will create a perfect messy nail. Dip your cotton bud in nail polish remover and remove the excess color on your skin and make it neat and tidy for your messy magenta nail decor. Its done! TA DA !!!.. Let me know if you liked my mosaic technique. Do you know any other facile technique? Do suggest and comment! Do you like my post? Let me know how it turns out. All the contents & Images provided on this blog are only for viewing with an intention to help, share, recreate and spread the love for nail decor. Copyright © Just Nails. Awesome Inc. theme. Powered by Blogger.